Why is Ethiopia’s the most under-reported conflict in the world? In November last year, the first protests against the Ethiopian Government unfolded in the Oromia region when the government wanted to expand the margins of the city of Addis. As this implied the resettlement of the local Oromo population, this was considered by the Oromo – the largest ethnic group in the country – as a further expression of their political and economic marginalization. The situation calmed down a little over spring this year and erupted again in summer, when the Amhara people in the North started anti-government protests. The military was deployed and further unrest unfolded again in the Oromia region. For the first time, an alliance between the Oromo and the Amhara was built. Since November last year, at least 500 people have been killed by security forces and tens of thousands have been arrested according to Human Rights Watch. What started as protest against the expansion of Addis turned into an expression of general dissatisfaction with authoritarianism and lack of public participation in the past two and a half decades. On October 9, the Ethiopian Government declared a state of emergency for the first time in 25 years. This was after more than fifty people died at an Oromo religious festival in Bishoftu (close to Addis). A week after, further details on the state of emergency were made public. Now, the government can arrest and detain for six months (the duration of the emergency state) any person contravening the emergency prohibitions, and conduct searches without a court warrant. There are now severe restrictions to the freedom to assembly and protest, and any communication with foreign governments or foreign NGOs “that is likely to harm sovereignty, security, and constitutional order” as well as any communication with “anti-peace groups” is prohibited. Moreover, the Government can monitor and restrict “messages transmitted” through different sorts of media outlets. This is reflected in cutting off the internet access through the mobile network, which is a major internet access route in Ethiopia, as well as the disabling of social media. On October 15, shortly after declaring the state of emergency, the Ethiopian Government also announced reforms, including a reform of the electoral system from first-past-the-post to proportional representation. A change of the cabinet has already taken place, and tackling corruption has been declared a priority. So why are these developments in Ethiopia the most under-reported conflict in the world? To reiterate: Ethiopia is experiencing political unrest over an extended period, and the state of emergency has been declared for the first time in 25 years. This could be reason enough to report on the situation, but there is more: Ethiopia has the second largest population in Africa (with nearly 100 million inhabitants), only topped by Nigeria. Secondly, Ethiopia’s GDP grew rapidly over the last years, with a growth of 9.6% in 2015. Thirdly, Ethiopia is considered by many as a bulwark against Islamist movements on the Horn of Africa. Despite recently retreating some forces, Ethiopia has been very active in the fight against al-Shabab in Somalia. 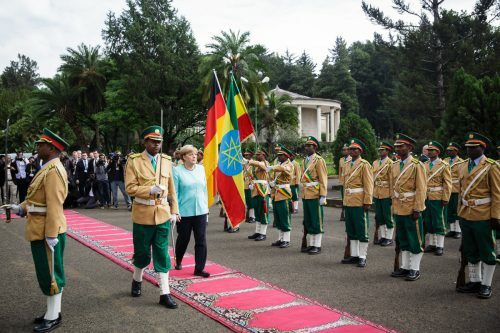 The importance of Ethiopia (for the West) is a good reason to follow the current political events. At the same time, it provides at least a partial explanation for the lack of coverage. Looking at the increasing levels of development assistance (ODA) to Ethiopia, most notably the United States and the United Kingdom, it seems as if the West buys into two arguments by the Ethiopian Government: Political participation and democratic rights are less important than (1) Ethiopia’s economic development and (2) regional stability in the fight against terrorism. For the U.S. and the United Kingdom, this is also reflected in their national focus on the “war on terror” and their own balancing of national security in relation to human rights. A similar dynamic exists with regard to the World Bank’s and other donors’ prioritizing of poverty reduction over issues of political governance when they decide on Ethiopia’s ODA levels. Though it has to be mentioned that the U.S., among others, expressed that they were “deeply concerned” over the situation in Ethiopia, actions speak louder than words. It needs to be seen whether or not Western ODA levels continue to grow. In the same manner, we should all observe (and report on!) whether or not the Ethiopian government will really deliver on its reform promises.